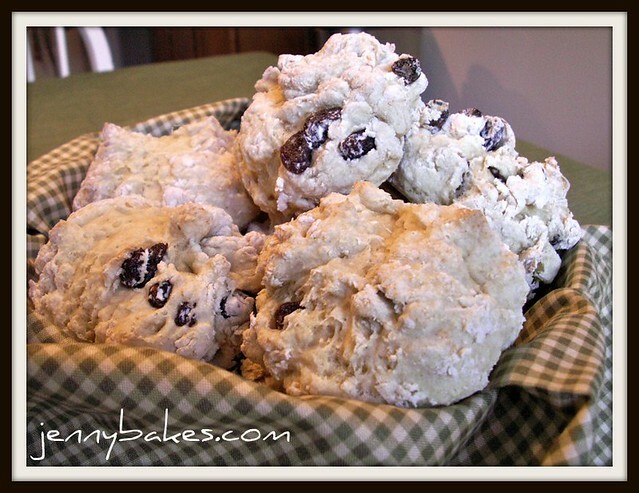 This TWD Baking with Julia challenge featured the Irish soda bread recipe, which I made for St. Patrick's Day Eve. I've made soda bread in the past, in fact ruining a pizza stone by throwing chocolate chips into one, haha. Soda bread is a lot like biscuits but with much less fat, just the wee bit of fat in the buttermilk, so while they are pretty tasty while fresh out of the oven, they turn into rocks later on. Please do check out the hostess blogs for this recipe - Carla of Chocolate Moosey and Cathleen of My Culinary Mission. Those must be delicious! I bet they are addictive. I love the small scone size portions!Wonderful idea. They look lovely.